Morgane Oger filed a human rights complaint against William Whatcott in 2017 after he distributed flyers that made derogatory comments about her identity as a trans woman. A Vancouver trans advocate has won at the B.C. Human Rights Tribunal in her complaint against a self-described Christian activist who distributed flyers condemning her transgender identity. Morgane Oger launched the complaint against William Whatcott in 2017. At the time, Oger was running as the NDP candidate in the Vancouver-False Creek riding. 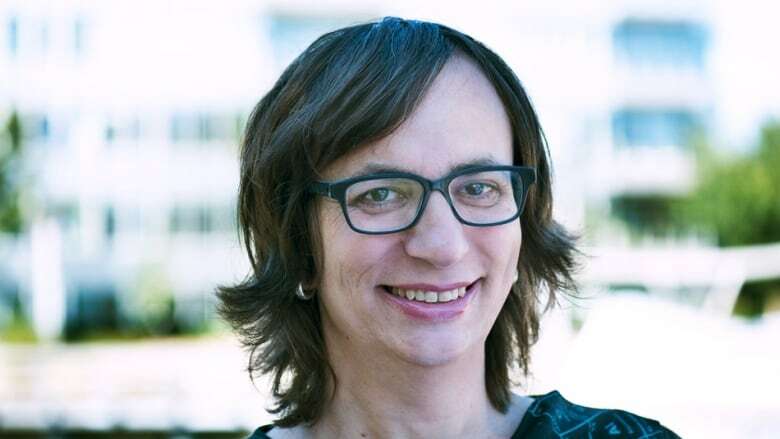 In the judgment, the tribunal panel said Whatcott created a flyer campaign targeting Oger solely on the basis she was a transgender woman and "therefore, in his view, unsuitable to hold public office." The flyer purported to reveal Oger's male birth name and an old photograph. It disparaged her transgender identity, using derogatory and graphic language. Oger told CBC's On The Coast host Gloria Macarenko it had been a monumental but difficult process. "This has been two years of fighting over details, misspeaking, and the other side constantly sniping at me not only through the tribunal but in social media and in videos as well," Oger said. The flyer also expressed concerns about "the promotion and growth of homosexuality and transvestitism in British Columbia and how it's obscuring the immutable truth about our God-given gender." Whatcott distributed his flyer — nearly 1,500 copies — on street corners, taped them to doors, and put them in mailboxes in Oger's riding. He also posted the flyer online, and told the tribunal upwards of 10,000 people saw the flyer. In a decision released Wednesday, the tribunal found Whatcott's public commentary about Oger improper and in violation of the B.C. Human Rights Code. "A reasonable person, aware of the context and circumstances, would view the flyer as likely to expose Ms. Oger and transgender people to detestation and vilification based on their gender identity," the panel wrote. "It drew on the most insidious stereotypes and myths about transgender people and called on the electorate to conclude that Ms. Oger was, by sole virtue of her gender identity, unsuitable for public office." It also noted Whatcott engaged in improper conduct during the course of the complaint. He wore a t-shirt disparaging Oger's identity during the hearing, and deliberately referred to her as male during the proceedings even when ordered by the tribunal to stop. The tribunal ordered Whatcott pay $35,000 to Oger for injury to her dignity, and another $20,000 for costs for his improper conduct. CBC was unable to reach Whatcott for comment.